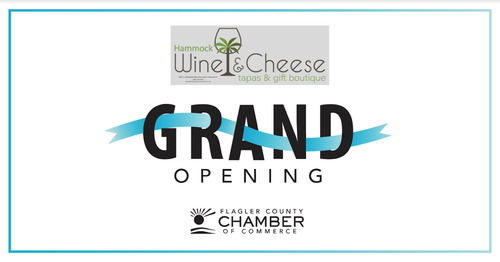 Celebrate Hammock Wine & Cheese's ribbon cutting now under new ownership . on Wednesday, January 16th from 5:00 PM - 7:00 PM. They are not just wine and cheese. They have live music and gift baskets (with local delivery). Join us in celebrating this milestone with them. Support a fellow Chamber member, bring friends and business cards to network. There will be food and beverage.